La di da di, Durham likes to party, and on Saturday, Sept. 27 the 10th annual Latino Festival came to Rock Quarry Park – just to see you smile and enjoy yourself. There were several vendors looking to recruit bilingual professionals for jobs with employers like the Durham VA Medical Center and the Durham Police Department. Festival organizers said that recruiting volunteers was no problem. 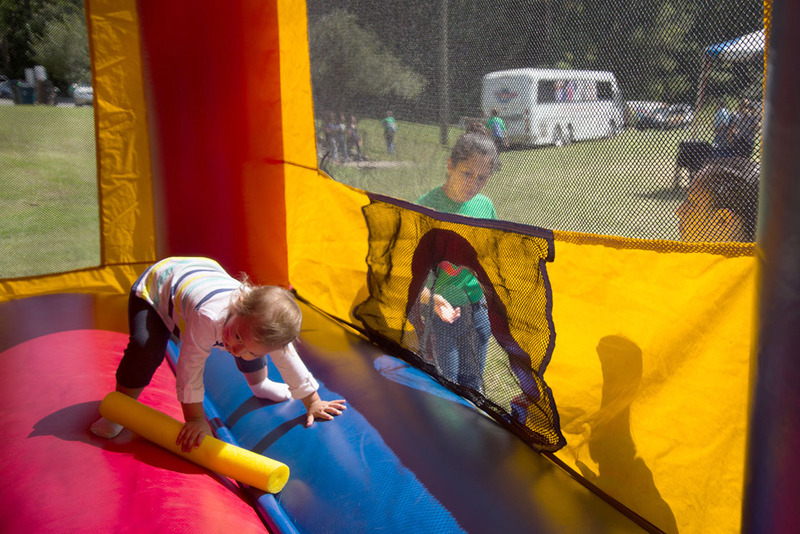 Yessica Vargas, 17, was volunteering at the inflatable “bounce house,” and has volunteered at similar festivals held in Cary and Chapel Hill, as well as with Habitat for Humanity. 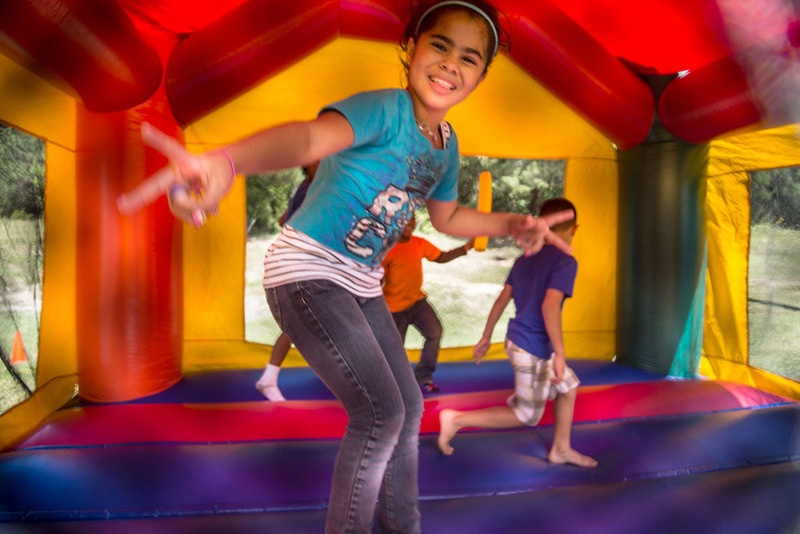 Sandra, 14, volunteered with a group from Immaculate Conception Church, 810 Chapel Hill St., she was at a tent sponsored by Home Depot, helping younger children nail together little wooden bug houses, and attach window-screen roofs with thumb-tacks. There were many other vendors including Univision, La Conexion, Hendrick Auto, the Scrap Exchange, the Eno River Association, several artists selling homemade jewelry, and of course food trucks. A papusa is a Mexican dish that includes a round, flat pastry that is stuffed with beans and cheese and served with pickled cabbage. The papusa were a one of many regional and Latin-inspired foods available. Maloney was at the festival to play guitar with the band Tercer Divisa, a Latin-influenced band that draws influence from musical styles from around the world. Apparently, they play everything from heavy metal to pop, depending on the event. There were five bands that played throughout the event including traditional flamenco, mariachi, cumbia, rock and pop. The Durham Latino Fest takes place near the midpoint of Hispanic heritage month, a celebration, which was officially started via proclamation by Mayor Bill Bell at the City Hall meeting on Sept. 15. Edelmira Palomo was at the festival to work, but that didn’t stop her from wearing a long red skirt and bright floral blouse while helping people understand the benefits of Durham’s One Call. The Durham One Call phone number is 919-560-1200, bilingual service is available 24-hours. Robert serves as photo editor of the Durham VOICE on the UNC-Chapel Hill team. He is a senior photojournalism major from Rochester, N.Y. This entry was posted in Community-building, Hispanic Community. Bookmark the permalink.